Ideal for primary/secondary schools & the station. Upgraded modern interior & a fantastic size garden over 100ft. Garage at rear end of garden. Chain free, double glazed & gas central heating. 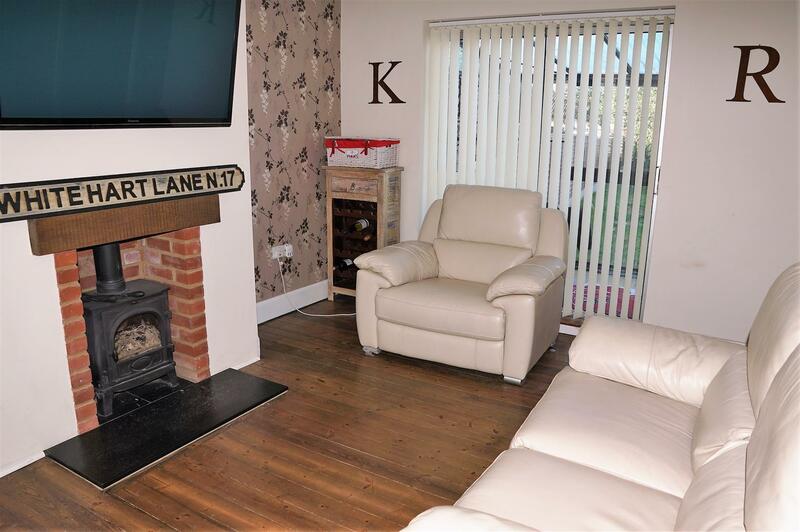 Sitting room with log burner, newly fitted kitchen, modern wet room, EPC Band E.
Recently fitted to a high standard, so almost "as new" with appliances. A dual aspect room with exposed floorboards and a fireplace housing a modern log burner. A very modern suite of wc, hand wash basin and plumbed shower. Currently a basic glazed lean to, but will be a perfect area for an extension or modern conservatory. A fine dual aspect double bedroom with good rear view, modern wardrobes and a built in cupboard. With a built in cupboard. View over the rear garden and beyond. A fantastic length with a westerly aspect but also open from the south. Located at the far end of the garden. On street casual parking, or at the very rear of the garden where the garage is set.